It’s Time For The 13th Annual New England Brewfest! More than 30 of the finest brewers will gather together at the Loon Mountain Resort in Lincoln, New Hampshire for the 13th annual New England Brewfest next weekend, June 23 – 25. The event is the longest-running of its kind in New Hampshire. 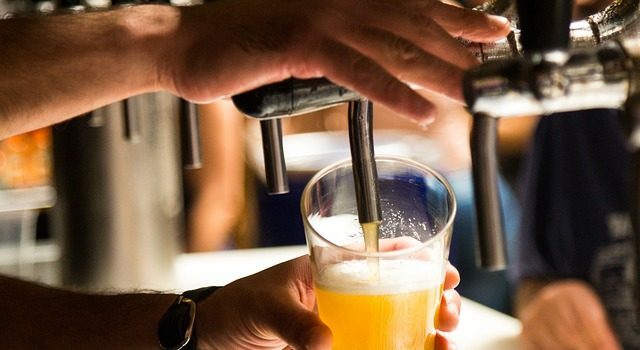 It is produced and managed by the Western White Mountains Chamber of Commerce, and will feature “beer-infused social events” educational workshops, and of course, tons of on-tap tastings. Although the Brewfest will feature more than just New England brews, organizers and participants say that not only has New England become a major player in the craft beer scene, New Hampshire itself has begun to emerge as a contender, as well. The Granite State is currently home to more than 70 breweries including nano, micro and production breweries, as well as brewpubs. The entire country is still in the midst of a craft-beer boom with no sign of fade-out anytime soon. In fact, this year’s event will showcase the latest trends in the industry like sour beers and shandys. Scott Rice is the owner of the Woodstock Inn Brewery and one of the founders of the Brewfest. He told NewHampshire.com that the first ever event was held in the parking lot across the street from his business. It grew so quickly that a larger venue was sought soon after. Rice’s brewery will feature four ales at the Brewfest, including local favorites, Pig’s Ear brown ale and Lemon Blueberry pale ale. Vermont definitely leads the pack for craft brewing when it comes to New England, but participants from Maine and Massachusetts have also joined New Hampshire in building their industry credibility. Small New England brewers may even have an advantage, according to Doug Horner, a spokesman for Smuttynose Brewing. He says that consumers want “not only a good beer, but a good experience, too.” Meaning the small-town, personal-touch feel of local brewers seems to be more desirable right now than a massive brewery tour of the Budweiser factory. Horner said that Smuttynose has “deep roots in New England.” The owner and founder of the company, Peter Egelston was one of the partners behind the Northampton Brewery in Massachusetts, which is considered the oldest brewpub in the Northeast. In 1993, Egelston bought Frank Jones Brewing Co. and re-named it Smuttynose Brewing. They are now the leading independent craft-brewer in New Hampshire. For tickets and a complete list of New England Brewfest events, go to www.nebrewfest.com.